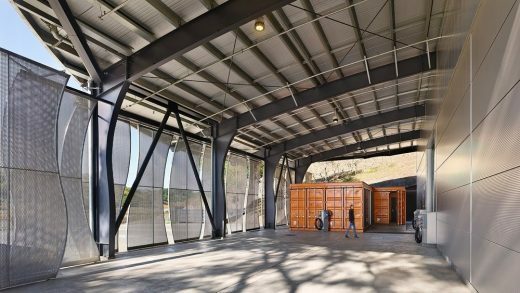 Signum Architecture’s LEED Gold-certified design Odette Estate Winery in Napa Valley has been selected by American Architecture Prize 2017 as an Industrial Building category winner. 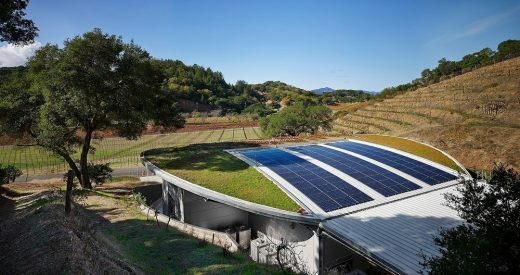 Odette Estate Winery’s environmental design expresses the owner’s commitment to sustainable farming and wine production. 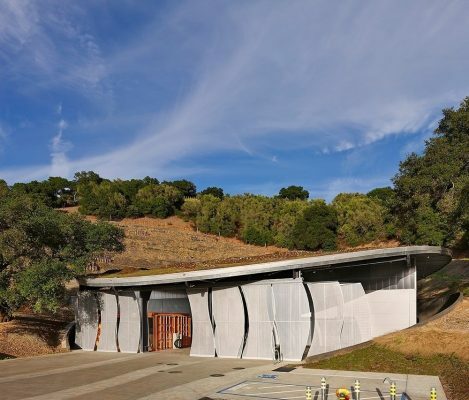 Juancarlos Fernandez, partner of Napa Valley-based firm Signum Architecture, designed Odette’s facility to reflect the elegance of the wines created there. 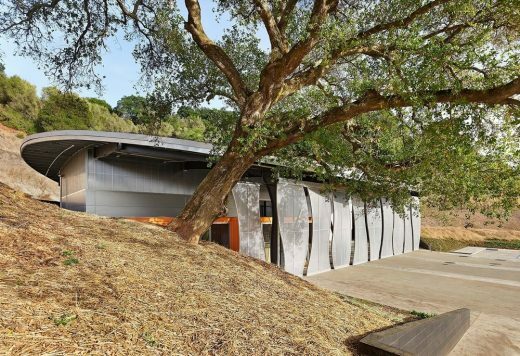 Nestled in the valley’s eastern hills, the building’s living roof appears to have been pushed up from the earth. 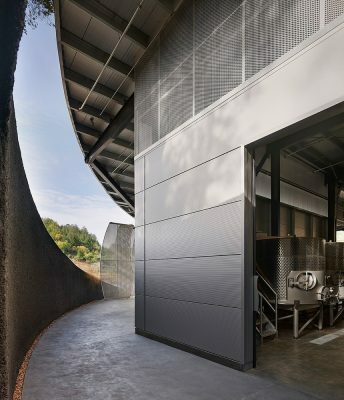 At the front of the building, sliding perforated aluminum screens in tall, voluptuous forms veil the winery’s covered crush pad and open-air workspace. 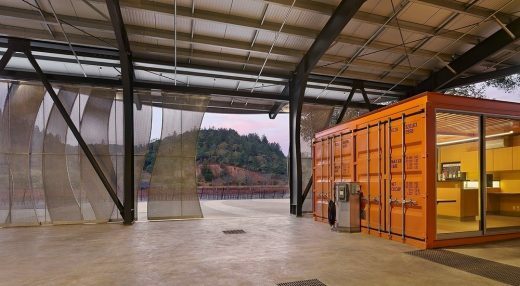 Behind these screens, three repurposed shipping containers serve as comfortable and sophisticated winery laboratory and office space. 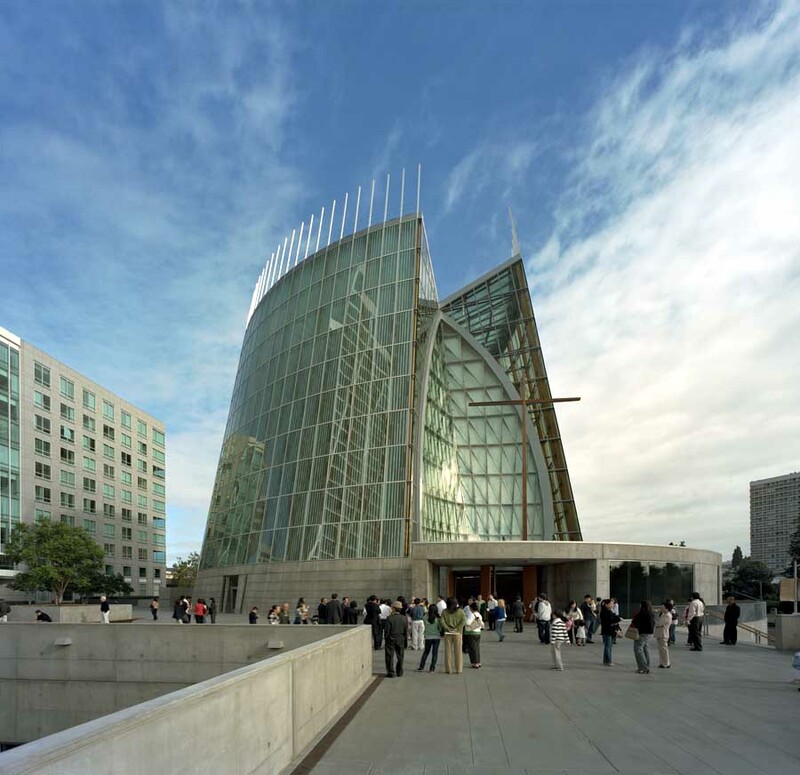 Energy efficient design throughout the facility, on-site renewable energy created by solar panels, and conscientious use of building materials were some of the main factors in the project’s LEED Gold certification. 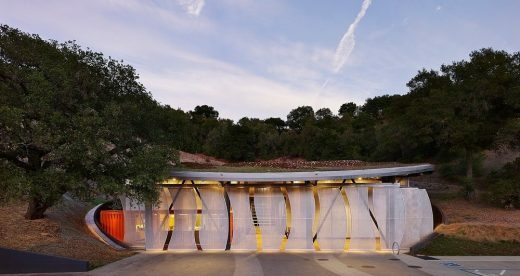 Of the project’s selection by the American Architecture Prize, Fernandez says, “I very much enjoyed designing this project and am honored for it to be selected among so much outstanding work.” The American Architecture Prize celebrates creativity and innovation in the fields of architectural design, landscape architecture, and interior design, welcoming submissions from architects all around the world. 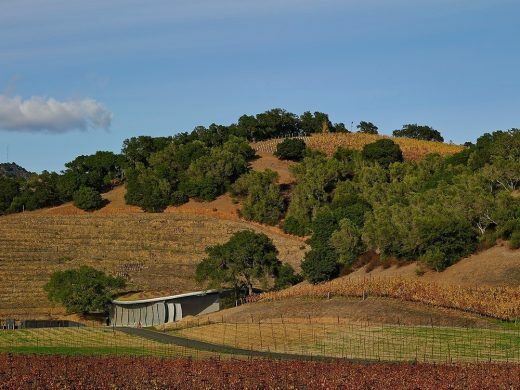 Signum Architecture is a full-service architectural firm focused on winery, residential, and custom commercial projects throughout Napa and Sonoma Valley, California, and beyond. 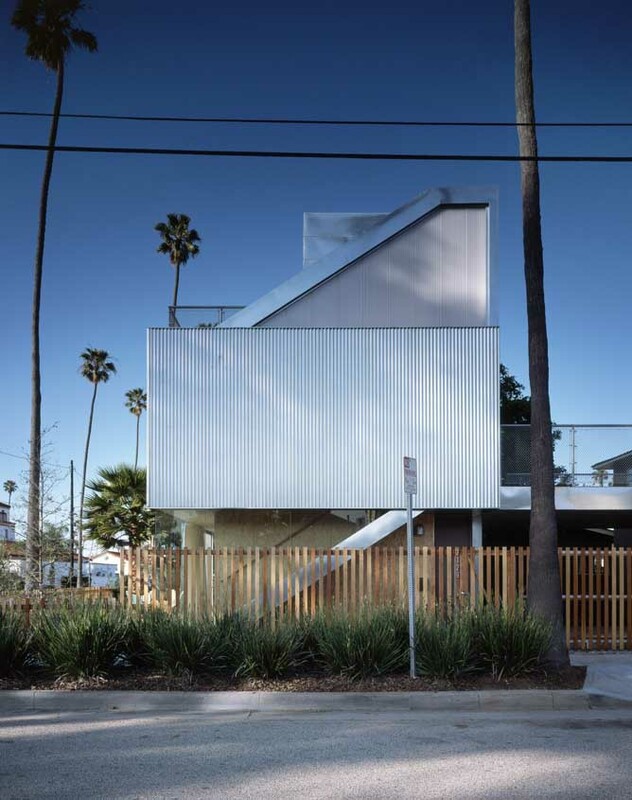 Signum seeks to engage the power of architecture to stir emotion and invoke reflection while setting the stage for inspired living.